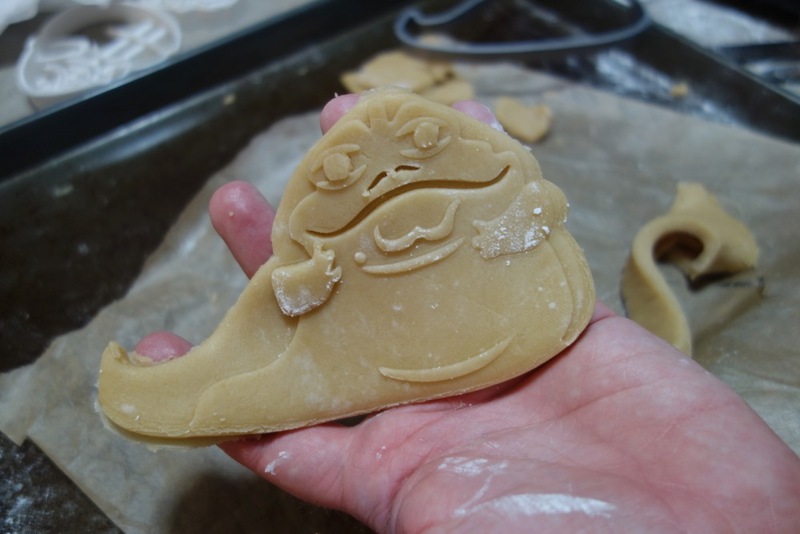 I posted about my quest to recreate the original Pepperidge Farm Star Wars cookies from 1983 a little while ago, and while I was making that I picked up some skills that I wanted to put to use making a cartoony Jabba cookie cutter of my own. I based this off of the design from some plastic Hallmark cups that I posted about a while ago. 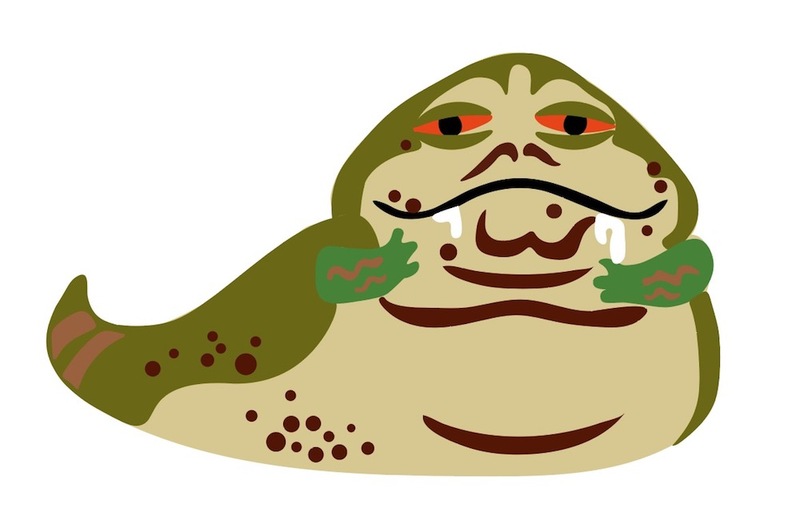 I found a full version of the artwork from the cup online, then traced the individual parts of his body using illustrator. 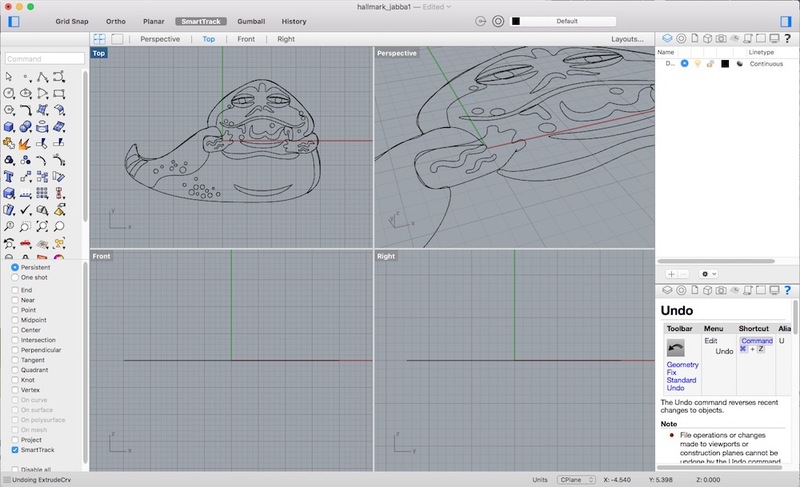 I then converted the individual parts into 3D models using a program called Rhino 3D. I’m using the demo version and it works well, but it turns out that it costs $649, so I’m not going to be buying it. 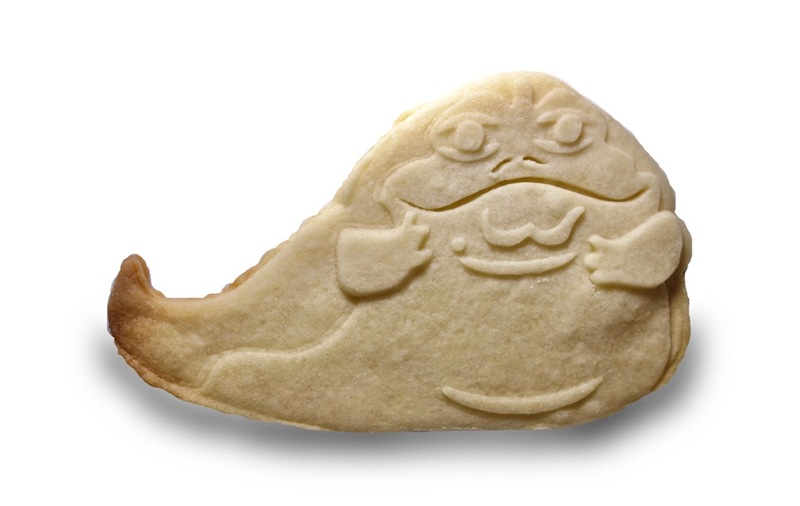 You could also use a site like Selva3D, which is what I used for my Pepperidge Farm cutter. Then I used TinkerCAD to assemble the various parts into a single cutter. The main point here is to make the different parts be different elevations so that some parts of the cookie stick out, and others are recessed. I did have to do a fair amount of experimenting with various designs to get the best one. 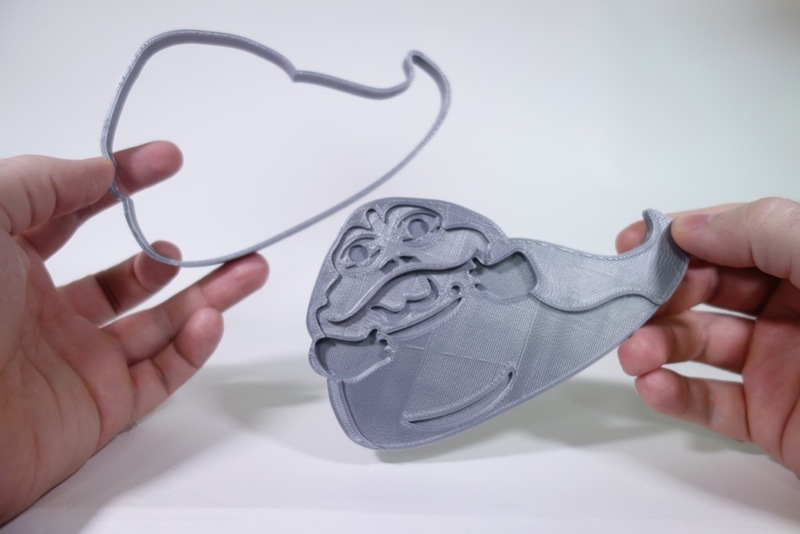 I originally wanted to make it a one-piece cutter, but it was too difficult to get the dough out, so I used a two-part design. 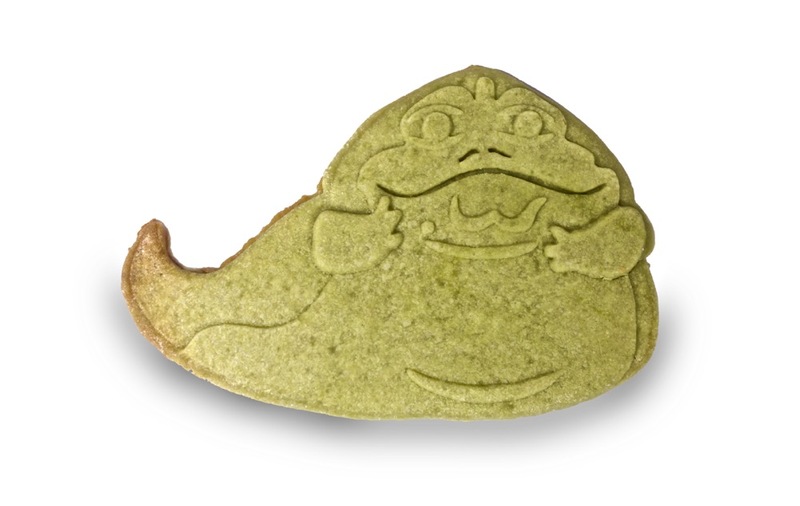 The inside imprints the details of the design, and the outside cuts out the cookie. This works pretty well. Here’s some dough after being cut. 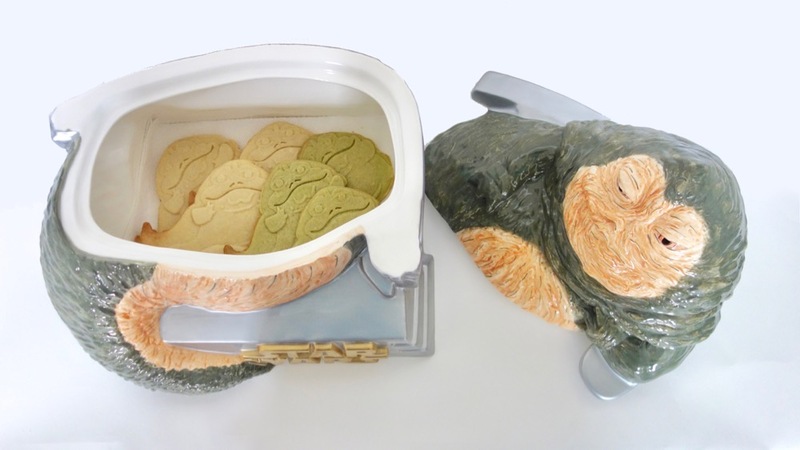 I also took this opportunity to finally use my Star Jars Jabba the Hutt cookie jar for actually storing cookies. 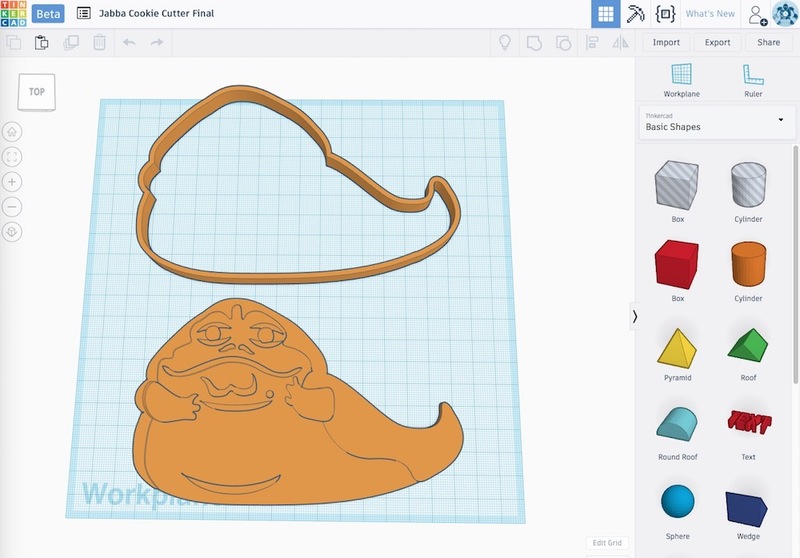 The 3D model for the cookie cutter is available on Thingiverse if you have a 3D printer. I made a video about making this cutter if you’re interested.